It’s been a few months since I first shared what I’ve been watching on Netflix, so today I’m back to share some more shows I’ve been enjoying lately. There has been quite a lot of attention surrounding Gilmore Girls recently, as it’s making a comeback 9 years after it’s final season aired. I never watched it when it first aired really – I caught a few episodes here and there, but never enough to get me hooked and this was before the days of streaming and Netflix (God, I feel old!) so it kind of passed me by. However, now the entire 7 seasons are on Netflix, I’m ploughing my way through them as everyone on Twitter seems to be in agreement that this is what I should do. I am 99.9% certain I will not be able to watch all of the old episodes before the new ones air at the end of November and thus I will almost definitely have them spoiled on Twitter, unless a miracle occurs. May the odds be ever in my favour. The Originals is the spin-off to the The Vampire Diaries, and follows the lives of the orignal vampire family, the Mikaelsons. We see the return of Klaus, Elijah and Rebecca, along with some other familiar faces and new characters as they try to make New Orleans their home once again. The vampires, werewolves and witches are working out how to co-exist in the city, with all of them fighting for power and control over the others. I’ve been really enjoying it so far (currently watching season 2) and although it’s similar to The Vampire Diaries, it’s more mature and has a darker side to it which I actually really enjoy. I was looking for a show with a little less teen drama to watch while my other shows were on hiatus, and I had heard good things about this one. It stars Viola Davis (who I absolutely adored in The Help) as a criminal defence attorney who also teaches a class called ‘How to Get Away with Murder’. She picks students from this class to assist on cases at her law firm alongside her and her colleagues, and right from the opening scenes there is mystery and intrigue. Viola Davis has been praised for her performance as Annalise Keating, and rightly so – she’s excellent! I’m still on the first season and admittedly it has taken a back seat whilst I plough through Gilmore Girls and The Originals, but I will definitely be going back to it. And saving the best til last… STRANGER THINGS. Can we all just take a moment to appreciate this show? I mean from the opening scenes of the first episode to the ending of the last, Matt and I were hooked. We’ve actually started re-watching it, it was just that good! I don’t want to spoil it for those of you who haven’t seen it yet, so all I will say is that everything about it is just awesome – the characters, the 80s throwback styling, the soundtrack… I genuinely can’t think of a bad thing to say about it and I’m going to go so far as to say it’s one of the best TV shows I’ve ever seen. Now we all just have to be patient and wait for the second season. 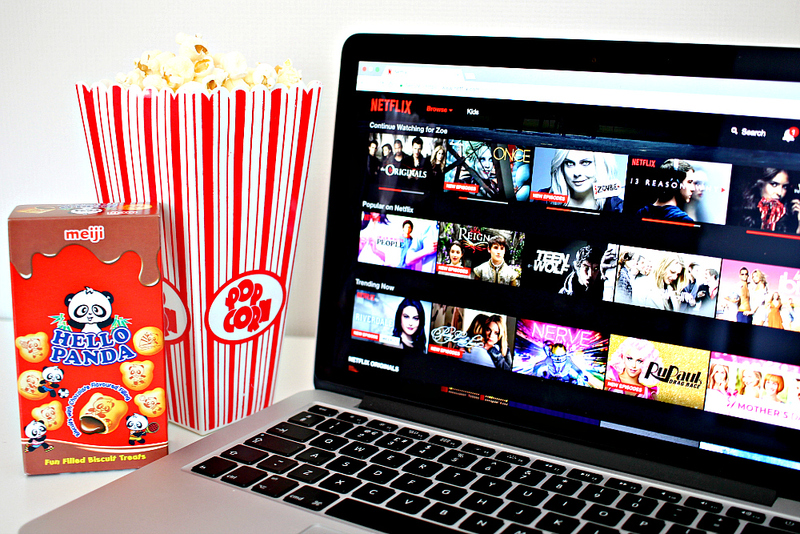 What are your favourite TV shows on Netflix that I need to be watching?